Out doing Wetland count around Larnaca today and had some good luck – Spotted a Merlin on the ground near Larnaca Sewage Works and then realised it had prey under its claws – a lark which it then proceeded to eat and ignored me so I managed to get some photos. 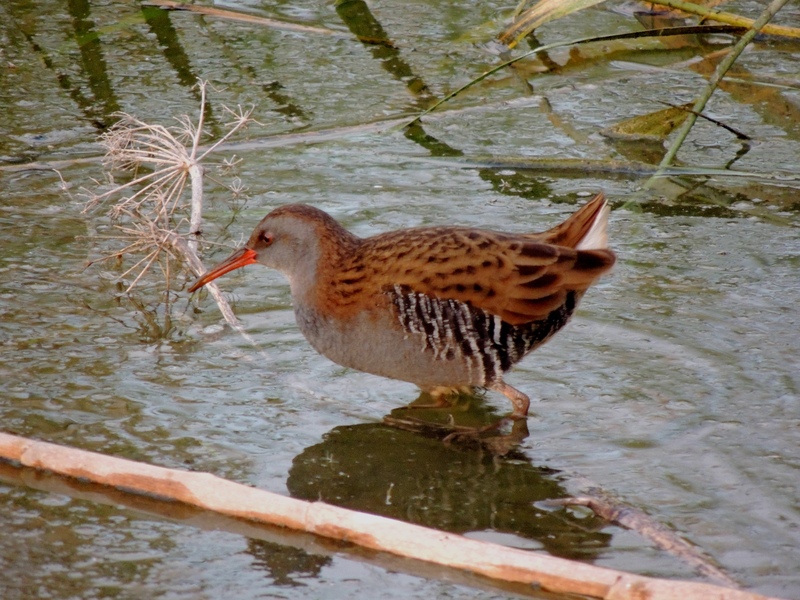 Categories: Birding | Tags: Cyprus Birding, Cyprus birds, Cyprus birdwatching, Larnaca birding, Larnaca birdwatching, Merlin | Permalink. Went to Paralimni Lake and sites around Cape Greco. Not a lot to see but some good views of male and female Finsch’s Wheatear, hunting Hen Harrier, Merlin and Peregrine Falcon, my first Audouin’s Gull for a couple of months and a Greater Sand Plover. Categories: Birding | Tags: Audouin's Gull, Blue Rock Thrush, Cape Greco, Cyprus Birding, Cyprus birds, Cyprus birdwatching, Cyprus Warbler, Finsch's Wheatear, Greater Sand Plover, Grey Plover, Hen Harrier, Long-legged Buzzard, Merlin, Paralimni Lake, Peregrine Falcon | Permalink. The third day out with Peter and Jean was spent around Paphos. We stopped at Achelia Dam on our way to Anarita Park. There we found the lone Ferruginous Duck that has been there for at least a week as well as fourteen Great Cormorant – one of which we watched struggle with a large fish it had caught. Onto Anarita Park, where it took us longer than expected to find a Finsch’s Wheatear, but with a little help from another birder we finally had some good views of a male. We also spent time watching two Little Owls and then were treated to the spectacle of two adult Bonelli’s Eagle flying to the east of the area being mobbed by a Long-legged Buzzard. Three Woodlark were also seen as well as a couple of Western Black Redstart and the ubiquitous Common Stonechat. Some Yellow-legged Gulls, two Grey Heron and two Great Cormorant were the only water birds on Asprokremmos Dam so we headed to the mast area to the west of the water where we had brief views of a male and female Cyprus Warbler and a couple of Spectacled Warbler. A late Northern Wheatear was a surprise but the best bird of the area was a male Merlin we saw speeding over the scrub and fields putting the large flocks of European Goldfinch and Greenfinch, Spanish Sparrow, Meadow Pipit and Corn Bunting into a panic. Down by the water’s edge we also found large flocks of European Serin. A Long-legged Buzzard was also flying over the area. We finished our day at Lower Ezousas, a site that has been very busy over the last few days since a pair of Cyprus rarities, the Bearded Reedling, had been seen on Saturday. We saw the female as soon as we arrived and the male as we left. 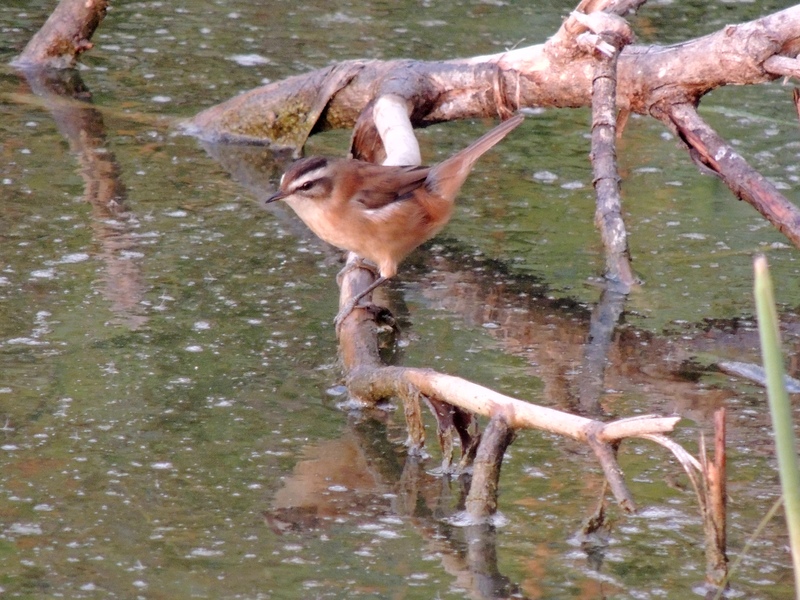 We also had close up views of at least one Moustached Warbler, a Grey Wagtail, two Water Rail and a Bluethroat as well as several Cetti’s Warbler and Chiffchaff. As we left the light was fading – some good birds to round off the day. The new species that we saw today brought the total seen over the three trips to 77. Categories: Cyprus Birding Tours Trip Reports | Tags: Asprokremmos Dam, Bearded Reedling, Blue Rock Thrush, Bluethroat, Bonelli's Eagle, Corn Bunting, Cyprus Birding, Cyprus birds, Cyprus birdwatching, cyprus trip reports, Cyprus Warbler, Ferruginous Duck, Finsch's Wheatear, Grey Wagtail, Little Owl, Long-legged Buzzard, Merlin, Moustached Warbler, Paphos birding, Spectacled Warbler, Woodlark | Permalink.